"These songs may have all started life as unfinished bits and pieces, but they've grown into wondrous creations under the watchful eyes of these men." 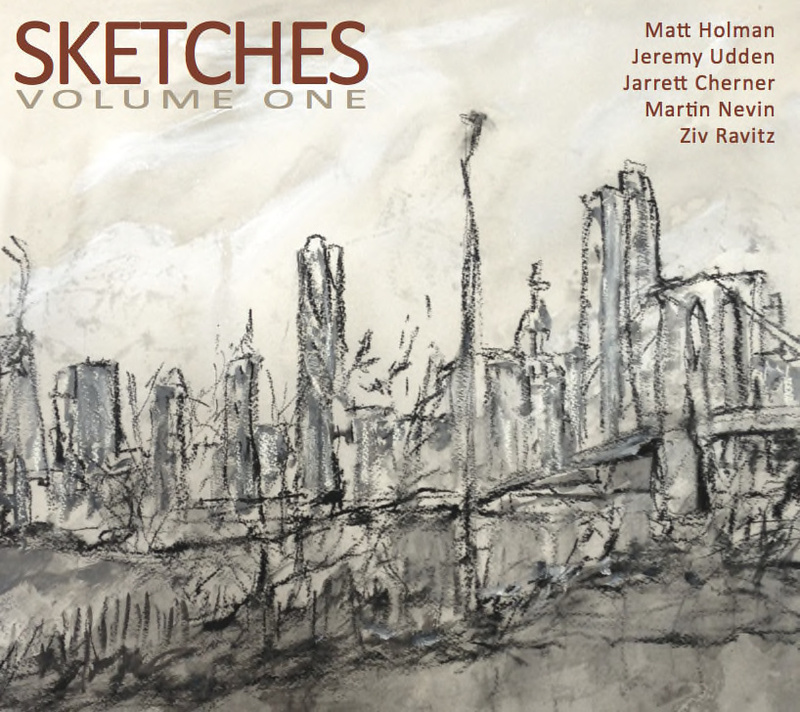 Volume One is Sketches' first release, the result of working on their unique collaborative compositional concept for over a year – writing, rehearsing, and performing in New York's Small's Jazz Club and Douglass Street Music Collective – until a cohesive set of material was ready to record. In some cases the original sketch represented an inspirational block for one composer yet became the creative stimulus for the second composer. Pianist Jarrett Cherner, for example, was attracted to the Middle-Eastern sound evoked in one of Ziv Ravitz’s sketches and used it as the introduction to Running With The Princess. Cherner develops the initial mood with major & minor tonalities, varying time signatures, and interweaving horn melodies, while adding his own sensibility and narrative element (listen for the Princess’ footsteps in the piano and bass). In other cases the sketch material was completely reworked. Martin Nevin's Dusk on the Porch, based on another sketch by Ravitz, began as a short free piece. Seeking to color the original idea by using it within a more traditional structure and harmonic map, Nevin reconfigured the sketch into a blues form, though the original musical material did not imply a blues form at all. Trumpeter Matt Holman finds the process of collaboration to be exciting and challenging because he loves "the opportunity to start a piece, not from my own compositional head, but from someone else’s original idea. Starting with musical material that is foreign to me prevents me from using my own compositional clichés and allows the essence of two different composers to eventually shine through in one piece.” Holman’s Cornerstone is based on a sketch by saxophonist Jeremy Udden and explores motivic gestures, bringing lush harmonies to what was originally a simple Rock-like chord progression. The piece also serves as a catalyst for brilliant improvisations by Holman and Cherner. To take the idea even further, Sketches developed a new approach to the creative collective process that they call Complete Compositional Collaboration (CCC), as evidenced on the piece Chain Letter. On a rotating schedule members individually compose and edit parts of the same composition over several weeks, adding a short new idea for each round. What developed in Chain Letter is a short work of creative counterpoint that has the spark and personality of all five band member’s compositional voices. 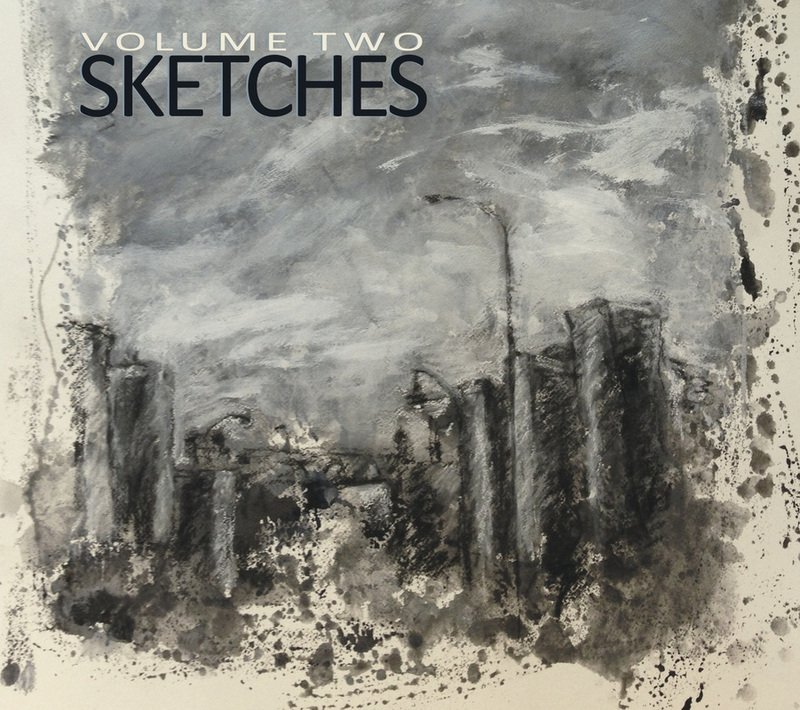 On Volume Two, Sketches continues its investigation and exploration of their unique collaborative compositional process. The music on the band's sophomore album is a result of the growth that they have experienced while touring and performing music from their debut, appearing not only in New York City, but also performing in Washington D.C, Baltimore, Portland, and Boston. Volume Two reflects a deepening understanding between the band mates, building upon the critically-acclaimed music they offered on Volume One. As with the music from Volume One, each member shared a sketch from his notebook (e.g. any musical fragment, a collection of fragments, an incomplete tune) and another member used that as the basis for a new composition. The band then rehearsed and developed the compositions further. In this process, no tune is deemed complete until the band plays the composition and each improviser finds a way of coloring the pre- written material. Although the compositions start as “sketches”, they are forged into complete compositions with ample room for improvisation. The band recorded all of the music on Volume Two in one day, a big indicator of the band's brilliance as ensemble players, and the unmitigated virtuosity they posses on their respective instruments. The compositions on Volume Two reflect a very personal tone and approach. The highlights include Ravitz’s "Hail from Plainville" (based on a sketch by Jeremy Udden), a tribute to Udden's personality and his compositional approach - a rare ability to combine jazz and folk music in a seamless way - that Ravitz admires. On Holman’s "Y&H" (based on a sketch by Ravitz), the use of “power chords” are a tip of the hat to Holman’s angst-loving teenage years. Ravitz's sketch inspired Holman to create a simple, open-form composition that has a passionate grunge feel but also pays tribute to the drummer's Middle-Eastern sensibility (Ravitz originally titled his sketch "Y and H" as a dedication to Israeli-born musician Yaron Herman). Bassist Martin Nevin’s "Dyson Ritual" (based on a sketch by Udden), is meant to evoke a tribal ritual with the opening theme summoning the members of the tribe and a call to the forces that the ritual honors. Cherner’s "Caught In The Storm" (based on a sketch by Holman) depicts the drama and volatility of either an internal, or actual, storm. Cherner was drawn to the harmony that resulted from the various permutations of the pitch set and the rhythm that Holman's sketch included. The band enters gradually as the storm brews, crackles with dissonance, finds moments of lyricism, gains momentum, and eventually dies down. In the coda, the listener is left with the tranquil space that’s left in the storm’s wake." Throughout Volume Two, the band delivers, “impressive post bop material, with rich and intelligent arrangements and a clever mix of melody and improvisation . . . You’ll like these guys!” - George Harris, JazzWeekly.